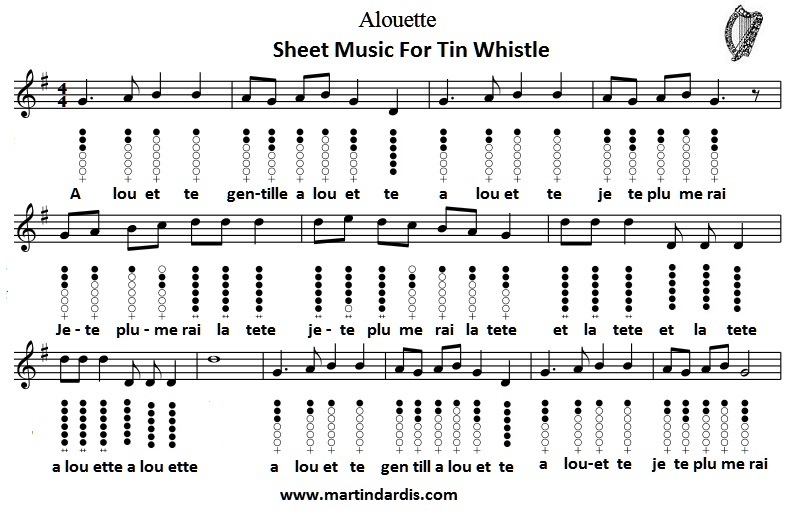 Alouette Tin Whistle Sheet Music. A French trad. children's song.